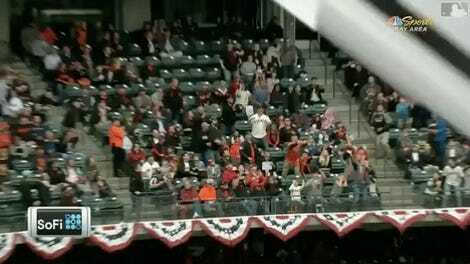 The rule for catching a foul ball in your beer is simple: chug. 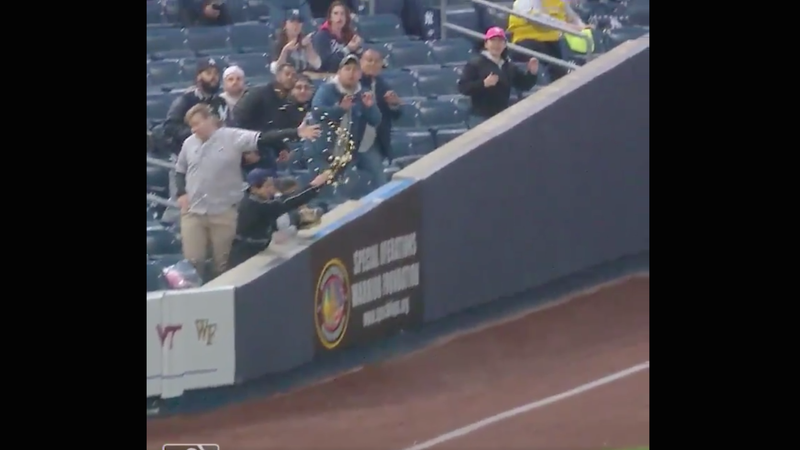 The rule for catching a foul ball in your glove that is, for some reason, crammed full of popcorn is... not so simple, though there’s certainly a decent case to be made for don’t fill your glove with popcorn in the first place. This is the situation that a kid found himself in during tonight’s Twins-Yankees game. As of yet, there’s no clarity on the reason for his glove-corn, but a woman who appears to be with him (his mother, maybe?) is clearly munching on a bag of popcorn here. Perhaps mother and son weren’t sitting together but were sharing one popcorn, and so the kid had to get creative? Or perhaps he’s just a kid doing something weird. Either way! Nice catch. Talk about a can of corn!! !